The Daniel Boone Park, which is home to the Horn in the West outdoor drama and the Hickory Ridge Museum, is a thing of beauty cloaked in the colors of Autumn. 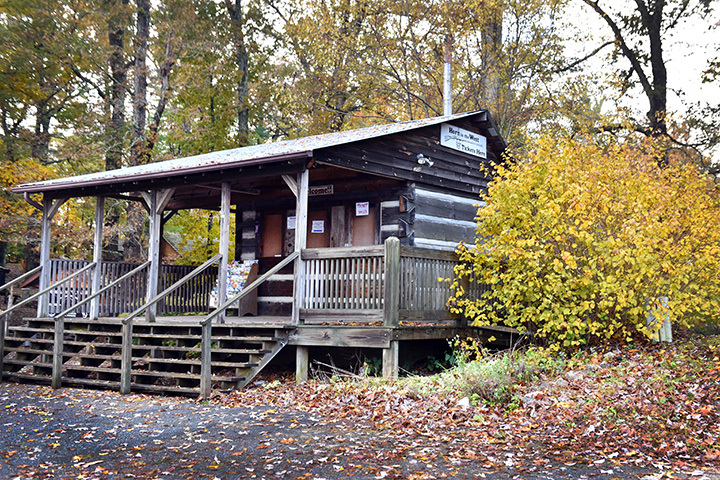 Here are the Frazier Cabin (which houses the Gift Shop), the Tatum Cabin, and the Daniel Boone Amphitheater. The Town of Boone Cultural Resources Department calls Daniel Boone Park "one of Boone's cultural gems". Since natural beauty, history, and mountain heritage in Boone are all fast disappearing, it would be wonderful for everyone in the High Country to support and celebrate this gem, the Daniel Boone Park.